The new Skyva gets a body upgrade, to metal with a POM cap! 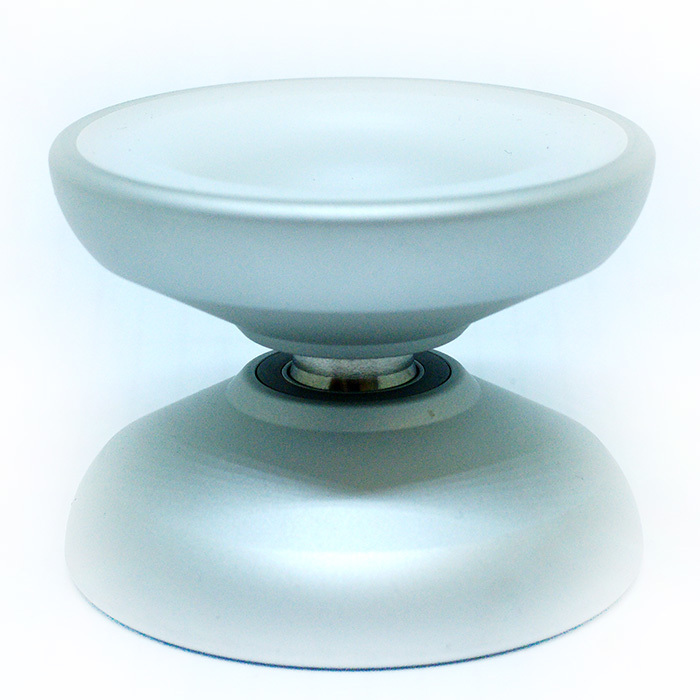 The Skyva launched to great acclaim, gaining many fans that were drawn to its impressive fingerspin potential. Now it's been upgraded to have a metal body, with the help of the owner of titanium-exclusive maker Luftwerk's Jeffery Pang. 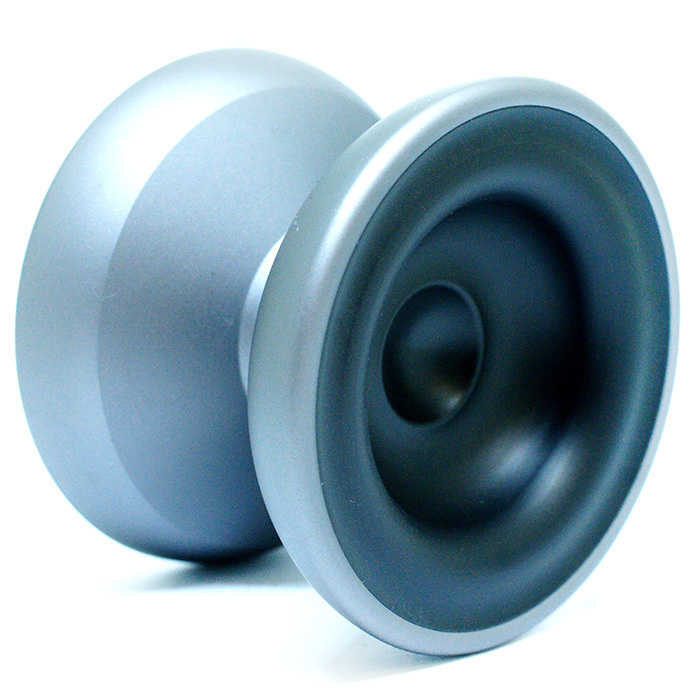 The profile of the Skyva is recreated in 6061 aluminum, and given a beautiful, smooth, blast finish. The result fits even more comfortably in the hand, not to mention the pleasant, natural playfeel. At 58mm, it has a slightly large diameter, giving the feel of a big spin with great stability. 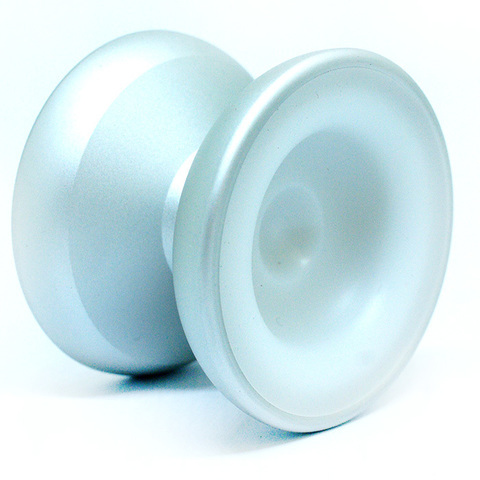 Of course, the side face of the original Skyva have been preserved, making the new metal version an even more fantastic fingerspin yo-yo. Machined from low-friction POM plastic embedded into the side, a clever combination of materials to further control the Skyva's weight distribution. At an easy-to-snag price, the Metal Skyva is a great option for your first metal yo-yo. It's a must-have in any player's arsenal! I have been working on this project for the past 6 months. There has been many customers that have asked me to produce an aluminum version of the Skyva. I wanted to take it a step further to produce something that would be a better performer in all aspects - both as a yoyo and in fingerspin performance. 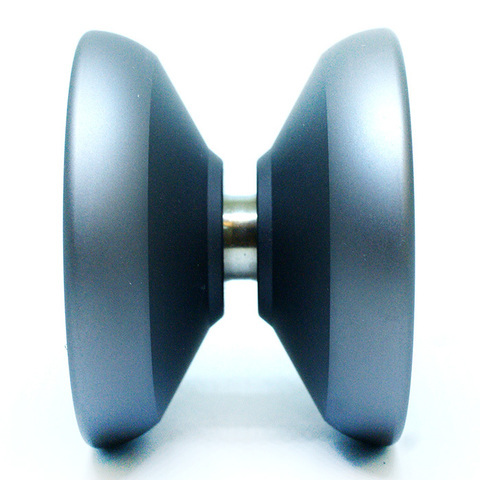 One of the enemies of fingerspin style tricks is the friction between your finger and the hub. Admittedly, both polycarbonate and aluminum aren't bad when it comes to friction eduction, but we wanted to take it to the next level. Anyone who has felt delrin before knows how buttery smooth it feels. Having owned many delrin throws in the past - I knew this super slick material was the way to go for the fingerspin cup area.